Home Pure Beauty Online Can You Actually Get Rid of Stretch Marks? We’ve written in the past about stretch marks and what can cause them, but with bikini season just around the corner, we thought we’d take another look at stretch marks, what they are, what causes them and if it’s really possible to get rid of them altogether. When your skin is stretched too far or grows too fast, the fibers that are there to keep it together are not able to work fast enough to keep up. 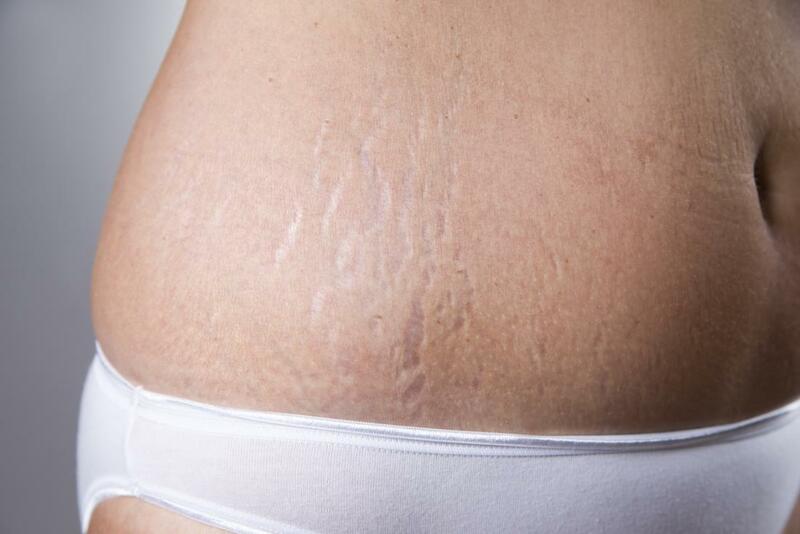 Therefore, portions of your skin tear and leave these grooves or streaks that we commonly know as stretch marks. Pregnancy and weight gain are the most common causes. It’s important to note that stretch marks which appear without any apparent cause can be a side-effect of Cushing’s Disease. If you have recently developed stretch marks without gaining weight or becoming pregnant, it’s a good idea to get checked by your GP. Is There Anything You Can Do About Them? Well, there’s good news and there’s bad news. Stretch marks usually leave at least some sort of visible mark on the skin, but it is possible to reduce their appearance so that they’re barely noticeable. The first step to stretch mark care is to exfoliate the skin – this won’t get rid of the stretch marks by itself, but it will improve absorption of moisturiser, and keeping the are well hydrated is the next important step. Which Products Do We Recommend? For exfoliating the area, something gentle but effective such as Decleor 1000 Grains Body Exfoliator would work well as l turns into an oil during massage for easy application, and then turns into a milk upon contact with water for quick rinsing. Skin is left feeling softer, smoother and refined. To enrich the skin and reduce the appearance of stretch marks, Decleor Cica Botanic Oil contains a unique blend of nine botanical oils to reduce existing stretch marks and help prevent new ones. The hero ingredient, bourrache botanical oil has one of the highest amounts of GLA; a fatty acid which has been shown to correct deficiencies in skin lipids and increase skin’s elasticity.